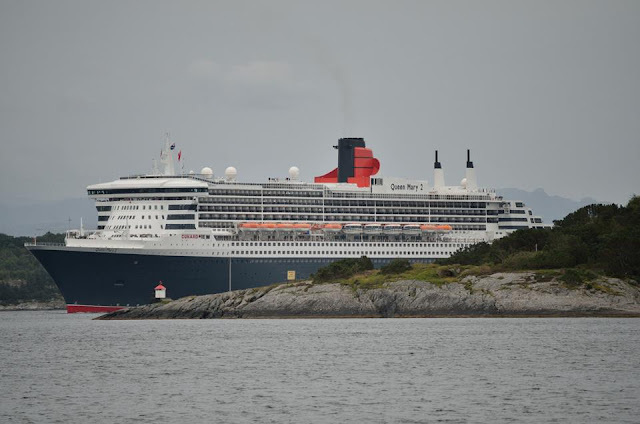 Beautiful photos sent by Harald Oanes showing the "QUEEN MARY 2" and the "QUEEN VICTORIA" sailing away at Stavanger in Norway during last year's cruise ships season. 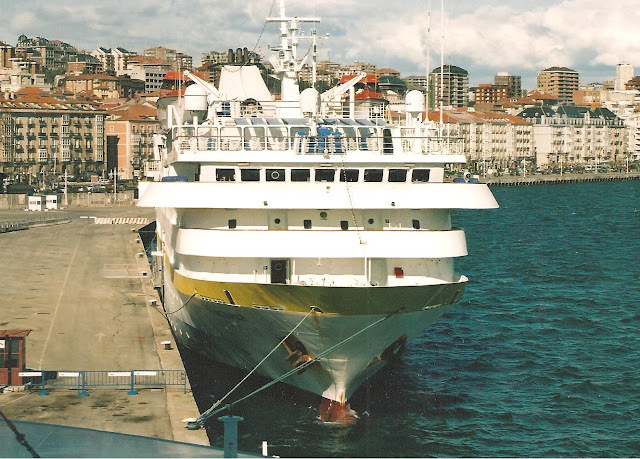 The 1989 Built "VISTAMAR" is seen here at Santander during a cruise to the Cantabria Capital in Northern Spain, a beautiful Spanish County that lately has witnessed an increase in Passenger Ships visits and in Lisbon during the summer of 2004. The Photo in Spain was taken from on board BRITTANY FERRIES brand new "PONT-AVEN". 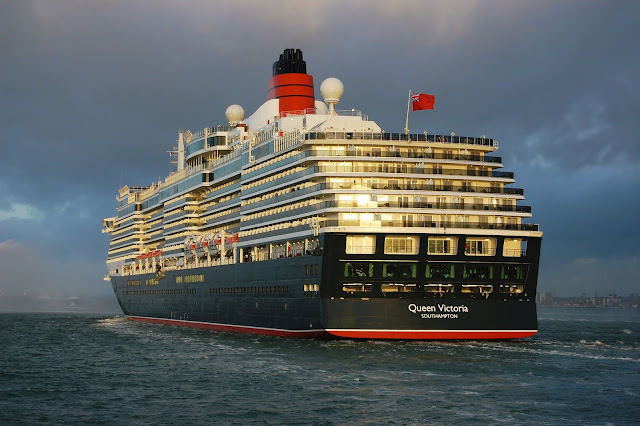 For further details of the "VISTAMAR" please click the link above. 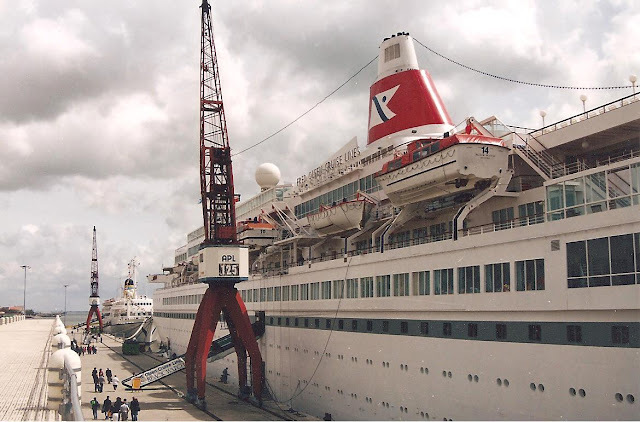 After a few "posts" about the Superliners of the early 20th century, our Blog takes now to the year of 1997 when the above photos were taken. 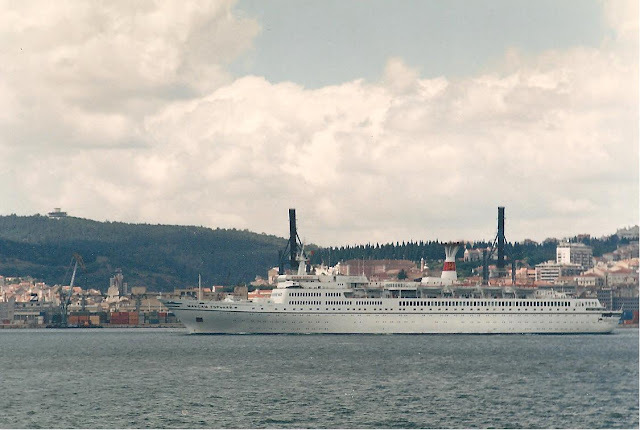 "FUNCHAL" and "BLACK WATCH" can be seen at Lisbon, the 1961 built "FUNCHAL" taken on passengers for another cruise and the FRED OLSEN ship during a call to the Portuguese Capital. 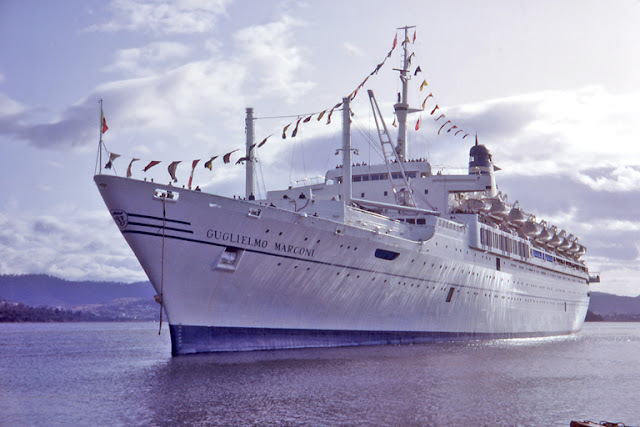 "FUNCHAL" was already sailing for ARCALIA SHIPPING while "BLACK WATCH" had just joined FRED OLSEN CRUISE LINES, the ship was originally built in 1972 as the ROYAL VIKING STAR, she was purchased and has been operated since then by FRED OLSEN, so much as changed since 1997 but both ships are still with us, BLACK WATCH still going strong with FRED OLSEN and a much loved ship by her passengers while the "FUNCHAL" is expected to go back to cruising soon after being laid-up in Lisbon since September 2010. 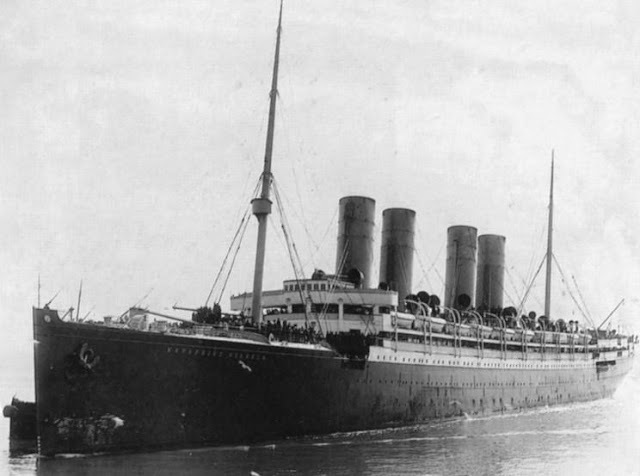 "AQUITANIA" at Liverpool getting ready for her maiden voyage 30.5.1914, the day after, the EMPRESS OF IRELAND disaster occurred with the loss of 1400 lives overshadowing the occasion. 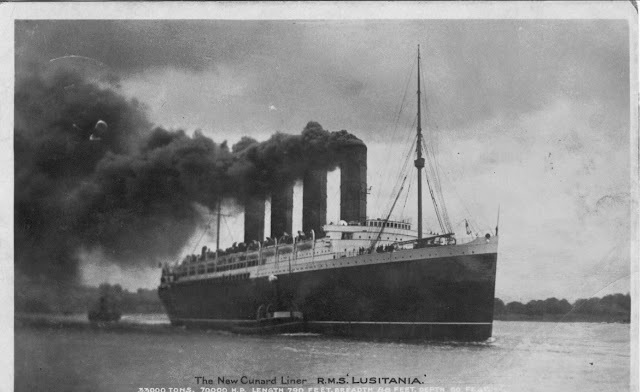 "AQUITANIA" arriving New York for the first time. 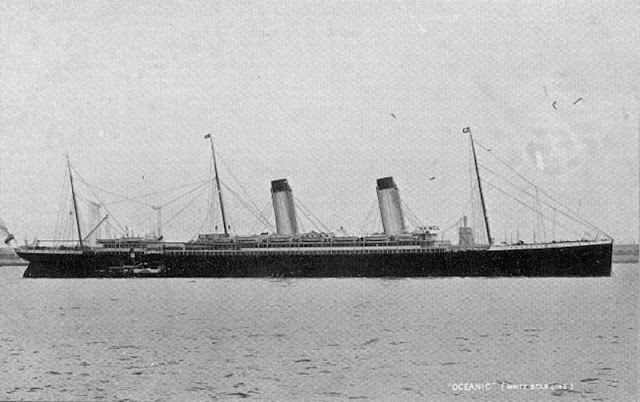 Superliners of the early 20th century, White Star Line "OLYMPIC"
"TITANIC" leaving Belfast in April of 2012 on her way to Southampton, not for her sea trials as commonly stated, in fact the OLYMPIC was so successful that "TITANIC" only had a few adjustments on her delivery voyage from Belfast to Southampton prior to her maiden voyage. 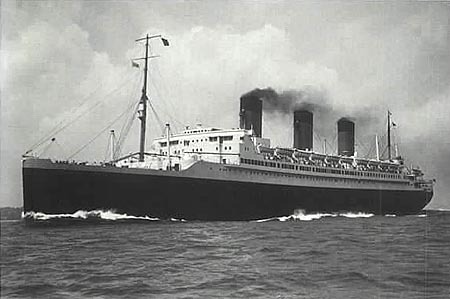 The Germans established one of the first marketing campaigns for Ocean Liners, everyone wanted to travel on four-stacker passenger ships, they were symbols of luxury, power, size and speed. 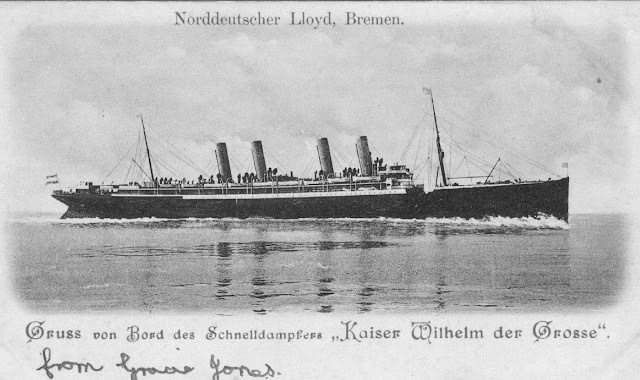 In 1897 North German Lloyd built the first "superliner", the KAISER WILHELM DER GROSSE, in 1901 the "KRONPRINZ WILHELM", two years later the "KAISER WILELM II" and in 1907 the "KRONPRINZESSIN CECILLE", these ships were very popular and successful before the beginning of World War I. 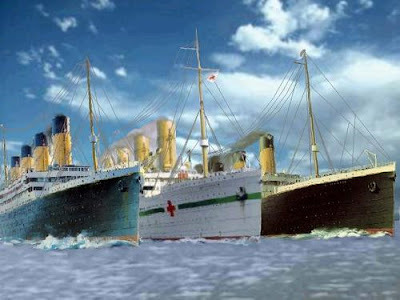 Here's a brief history of each of these four ships. 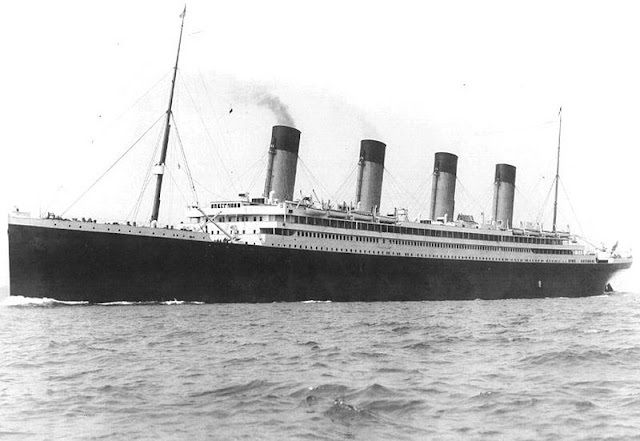 For the "KAISER WILHELM DER GROSSE" please report to my post of last friday. 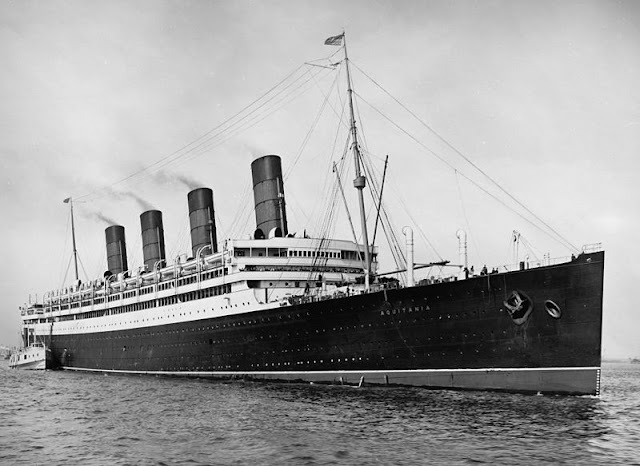 Superliners of the early 20th Century, British and German response to the "KAISER WILHELM DER GROSSE"
"KAISER WILHELM DER GROSSE", "THE FIRST SUPERLINER"